Suggest that your boy dress in an Emile et Ida home sweet home print top from farfetch.com and red jeans for a fun day out at the playground. 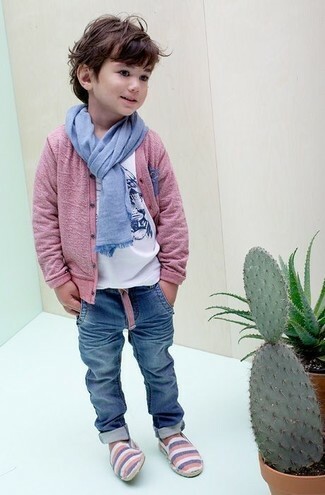 As for footwear your little guy will love navy sneakers for this look. Suggest that your darling opt for an Emile et Ida home sweet home print top and light blue shorts for a laid-back yet fashion-forward outfit. 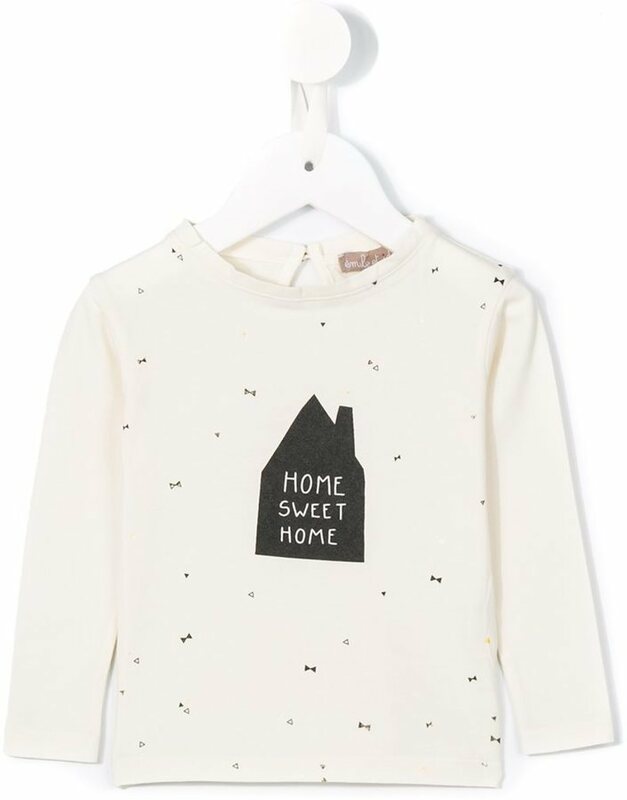 Suggest that your kid choose an Emile et Ida home sweet home print top and blue jeans for a laid-back yet fashion-forward outfit. This look is complemented perfectly with black boots. 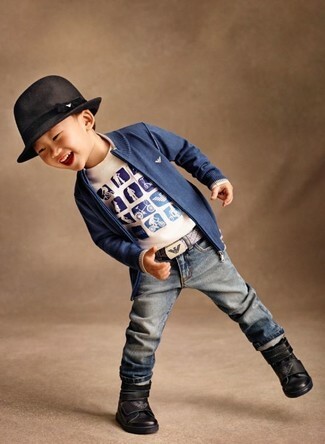 Suggest that your little man pair a white print t-shirt with blue jeans for a laid-back yet fashion-forward outfit. Suggest that your son reach for a white print t-shirt and light blue shorts for a fun day in the park. Light blue sandals are a nice choice to complete this getup.